Batteries output power when they are connected to a circuit. A battery that is not connected to a circuit provides no current and therefore outputs no power. However, once you have connected your battery to a circuit, you can determine power output by measuring the voltage drop across the load of the circuit. If you are familiar with the equations that relate power to voltage, current and resistance, you will be able to navigate between these concepts easily. Power is the product of current and voltage. Therefore, in order to calculate the power output of a battery, you must measure these two aspects of a circuit. Current is the flow of charge per unit of time, whereas voltage represents electrical potential energy. The units of current and voltage are amperes and volts, respectively. Additionally, voltage is the product of current and resistance. Resistance is the measurement of the opposition to the flow of current. 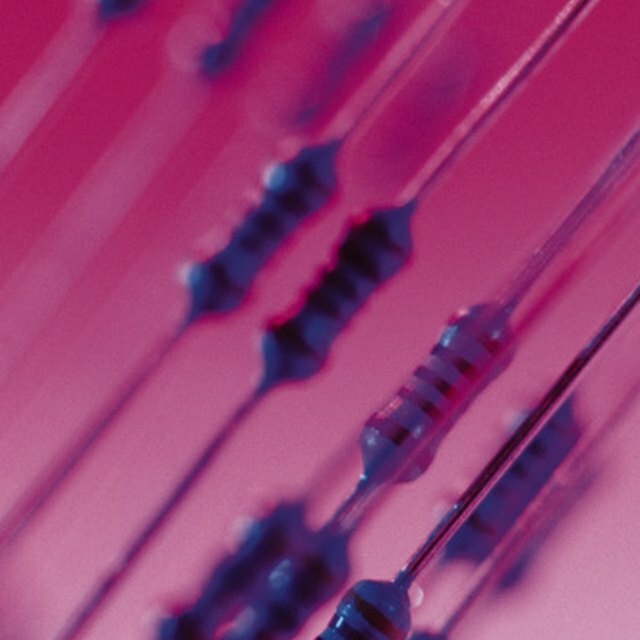 Objects exposed to an electric potential, or voltage, exhibit characteristic resistances. Resistance is measured in ohms. Because of the interrelated nature of power, voltage, current, and resistance, you can determine power even if you only know two of the other quantities. For example, power equals current squared times resistance or voltage squared divided by resistance. In order to measure the power output of the battery, you must measure it when it is connected to an external resistance, also called a load resistance. Otherwise, the battery is doing no work and therefore provides no output power. A load resistance creates a measurable voltage drop. If you know the resistance of the load, you can then determine the current. Use a multimeter to test the voltage drop across the load. Turn the dial of the multimeter to monitor DC voltage. Then, place the two leads of the meter on either side of the load. The polarity does not matter. Divide this voltage by the resistance of the load to get the current. Once you have both the current and voltage, multiply them to obtain the power output. You will notice that the power output of a battery varies depending on the circuit that it is powering. This is because current changes based on the resistance of a load. A battery's voltage varies depending on whether or not it is applied to a circuit. A detailed description of a battery will often include figures for the voltage in both closed and open circuit configurations. The closed circuit voltage of the battery is also called its terminal voltage. Furthermore, these voltages can vary based on both the battery's state of charge and charging current, where applicable. This is another reason you must measure a battery's voltage when it is connected to a circuit. A battery exhibits an internal resistance in addition to any resistance in a circuit. As this internal resistance increases, the power output of the battery decreases because some power is dissipated internally. When this happens, the terminal voltage of a battery decreases. If the internal resistance of the battery becomes too high, the battery will no longer supply enough of a potential to drive a current through a load. 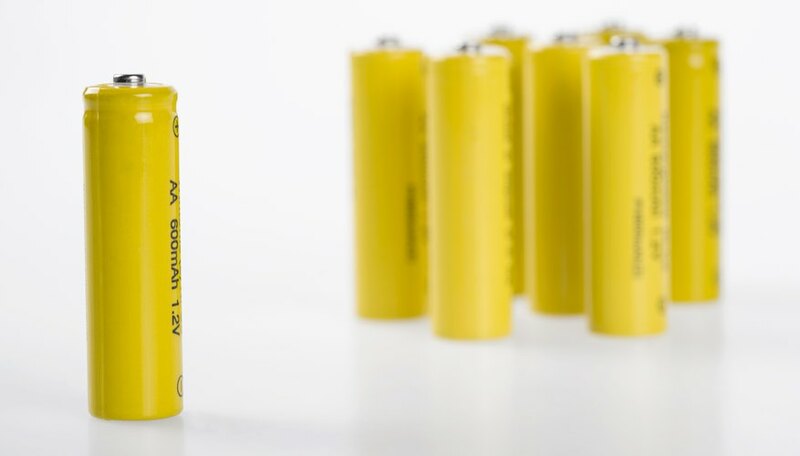 Batteries have a handful of printed ratings with regard to their capacity and output. The total electrostatic potential of a battery is stated in volts. This is one of the most prominent characteristics of a battery, and it has a large bearing on the output power of a battery: generally, the higher the rated voltage, the larger the output power. Also, battery capacity is given in amp hours. This is an expression of the number of amps a battery will output for a given number of hours. For example, a 140 amp hour battery can output 7 amps of current for 20 hours before needing a charge. Murmson, Serm. "How to Measure the Power Output From a Battery." Sciencing, https://sciencing.com/measure-power-output-battery-12312498.html. 25 April 2017.